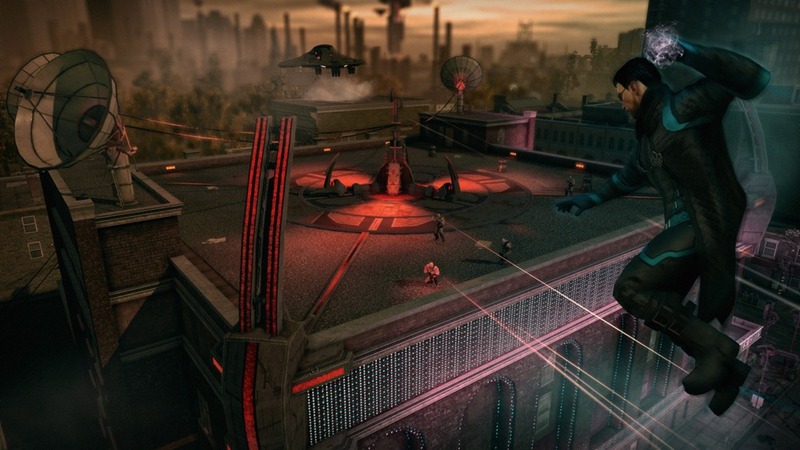 Saints Row 4 often comes off a mini-game collection with most missions giving instructing you to repeat mini-game challenges time and again. I lost track of how many shops I had to hack, Zin troops I had to clear out, and waves of baddies I had to hold off while an ally hacked the simulation. The gunplay initially isn’t very inspired so these combat sequences start to grate, but just as they get tedious (by the 3rd or 4th time) you find a weapon shop and learn that you can upgrade and customize your loadout. These customizations range from stat improvements to new functions to complete audio and visual overhauls. I like carrying dual pistols with exploding bullets, my alien rifle is actually a laser-shooting squirt gun and my shotgun was replaced with a blunderbuss. Some of the alien guns are fun to shoot (the singularity gun that shoots mini black holes is a personal favorite) and thankfully the super powers you get through the story aren’t there to replace the gun game, but rather to compliment it. What the super powers do replace though are vehicles. It’s a handicap to drive a car – even a fast one – when you can run faster than the cars, and blast through traffic like it’s not even there. If that’s not your speed (pun intended) the jump a couple stories into the air and then glide to your target destination. The movement powers are so much fun to just monkey around with that it’s a shame that the world is so drab. The world of Steelport is draped in eternal darkness so there is no day/night cycle, and no weather. This adds to the depressing image that alien leader Zinyak is trying to project, so kudos to him, but I don’t like it. The city is also really basic and uninspired. 99% of the buildings are just shells, there to add to the look of the city but add nothing to the gameplay. They’re there to climb up and jump/glide off of or get in your way while running and that’s about it. Visually striking set pieces are few and far between in Steelport, so thank goodness for the individual simulations you get to enter. Rescuing your allies involves entering their personal simulation that’s designed to cater to their particular fears, and some of these are very fun and varied. 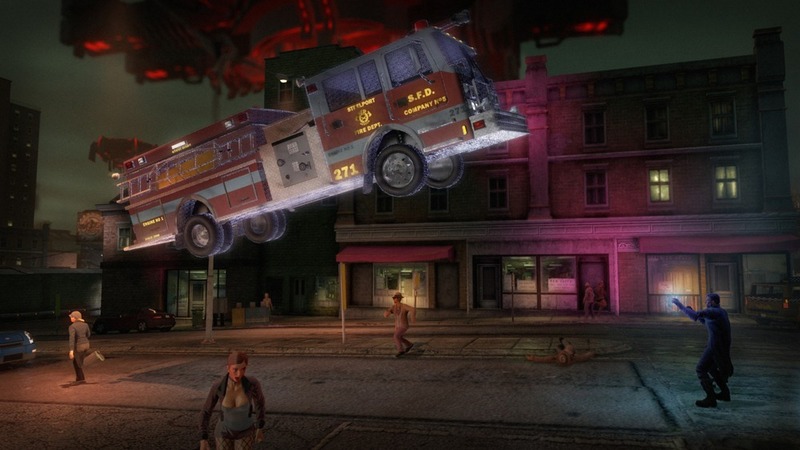 Visually, Saints Row 4 looks like a dead ringer for it’ predecessor. I didn’t see a thing that stood out to me as significantly improved, and the “you’re in a simulation!” effects with warped polygons on NPC models and briefly tearing/reloading textures hurt the game. After playing for a while I came to accept them as part of the game but for the first hour or two I was certain that either the game was broken or my video card was dying. The sound is ok, and the voice acting is competent, but the dialog is great. I really got a kick out of some of the lines. The two biggest questions that needs answering are, if you have Saints Row The Third, should you get Saints Row 4, and is it worth getting with Grand Theft Auto V on its way? To the first question, I say yes, if only because the super powers and item customization make going back to SRTT feel stiff. As for the second question, well that will have to wait for a review of GTAV.